Castle Narrowboats01873 832340work NarrowboatFor a break that offers real relaxation, try a narrow boat holiday on the Monmouthshire and Brecon Canal, within the beautiful Brecon Beacons National Park. With no set itinerary or schedule your time on your Narrowboat holiday really is your own to enjoy as you see fit, whether you are after an involving family holiday or a quiet break with friends. 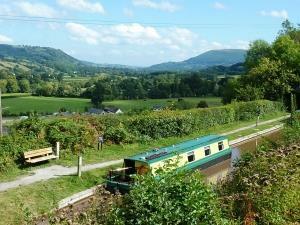 For a break that offers real relaxation, try a narrow boat holiday on the Monmouthshire and Brecon Canal, within the beautiful Brecon Beacons National Park.